On June 30, 2009, Private First Class Bowe Bergdahl left his post in eastern Afghanistan, about 25 miles from the Pakistani border. He was quickly captured by local tribesmen, who sold him up the Taliban's chain of command. In May 2014, after almost five years in captivity - the longest held and most brutalised prisoner of war since Vietnam - he was released. His freedom was exchanged for five Taliban commanders held at Guantanamo Bay. Bergdahl was welcomed home by President Obama in a ceremony in the Rose Garden of the White House. Within hours, however, some of Bergdahl's former platoon mates were denouncing him as a deserter, even a traitor. Bergdahl admits walking away from his guard post of his own volition. But what is the truth: is Bowe Bergdahl a traitor or a hero? Or does the truth lie somewhere in between, shrouded by the fog of war? Bowe Bergdahl's story has risen to international prominence since becoming the subject of the current series of the hit podcast Serial. 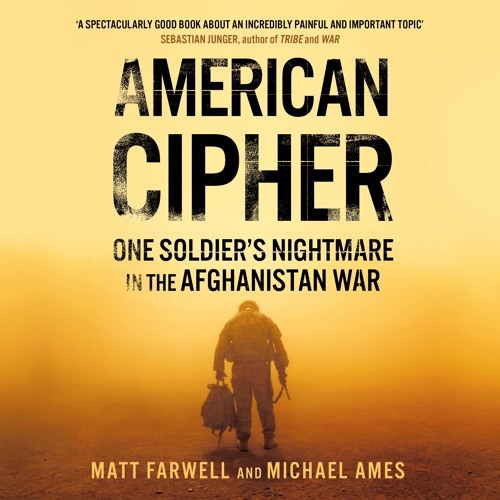 But now, and for the first time, American Cipher, written with exclusive access to key sources, will tell the full compelling, dramatic and shocking true story.